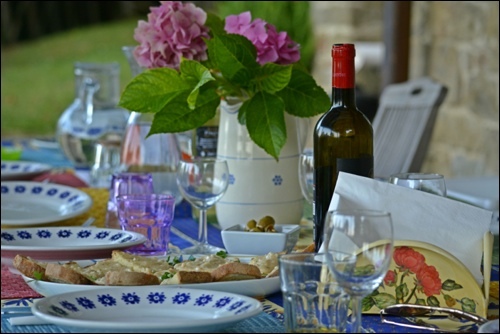 Work learn & Relax in Tuscany with London Mums. 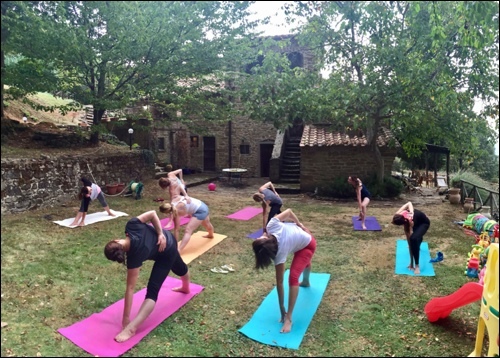 To celebrate our 10th year anniversary, London Mums are organising a trip to Tuscany for the week 19-23 June 2017 (Monday to Friday with the individual option to extend it over the weekend) with the theme fitness and learning. Babies, kids of any age and husbands are more than welcome too, of course. 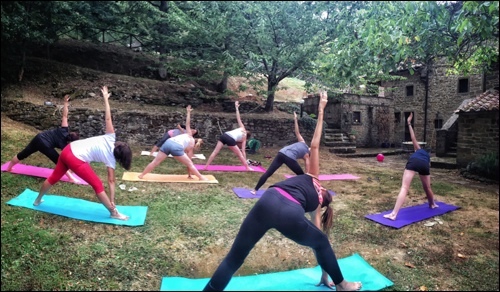 Food, Fitness and Fun Under the Tuscan Sun with London Mums. It’s a Holiday for busy Mums run by Mums. We only have 6 spaces available so please book NOW if you want to join us for this memorable trip. We have designed an full activity programme but this is not compulsory in fact you prefer relaxing the location is perfect. We will depart on 19 June from London Stansted with Ryanair (morning flight) to Perugia airport (the closest to La Radicata) and will return early afternoon on Friday 23 June 2017. Social media & PR workshop: 2 hours for two mornings (longer time depending on your interest and questions) – mentoring and seminar by Monica Costa, founder of London Mums – This usually has a charge of £150. 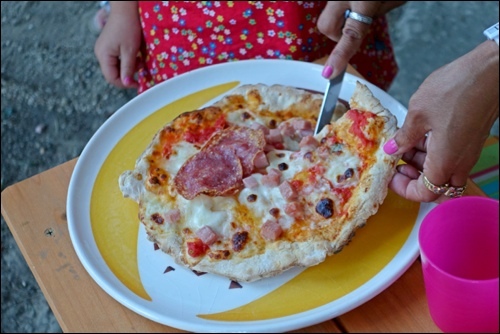 Two Cooking Classes – There is no better way to explore Italian gastronomy than learning to cook it yourself. Guests have the option to learn how to cook Italian cuisine under the guidance of an accomplished Italian chef. After deciding between creating the lunch or light supper menu, guests will delve into the aromas and flavours of the past, preparing their own dinners with vegetables from the estate’s very own gardens. Each lesson is uniquely designed and tailored to the guest’s needs and lasts around 2.5 hours. Whilst experimenting with recipes handed down generations, guests have the chance to learn about the rich history and culture of the Tuscan table. 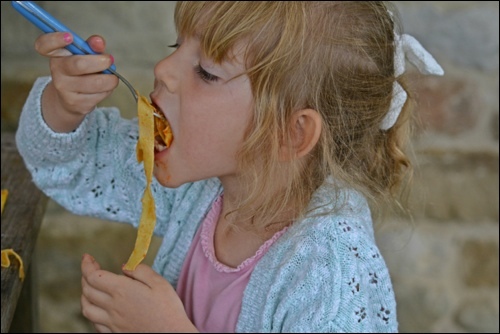 Children under 12 can also enjoy a specially tailored class and tasting of typical Italian products. Accommodation is in stunning Villa Radicata, a comfortable lovingly renovated farmhouse with with 6 furnished and serviced double rooms, a fenced pool and a large garden full of fruit and chestnut trees. La Radicata is situated in the stunning Tiber valley in Tuscany. Its brilliant hostess and owner is London Mum Rita Kobrak who offers us the once in a lifetime chance to live the Tuscan dream without the stress of traditional hotel. Villa Radicata is a family home and we hope you will love it as much as we do. 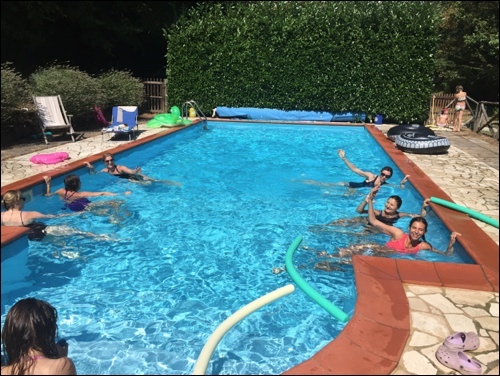 Rita set up Mum and Baby Experience, running family activity holidays 9 years ago and she wants to provide unforgettable value-for-money holidays that are fun and relaxing for both adults and kids in a stunning location with tasty healthy organic food and wine. 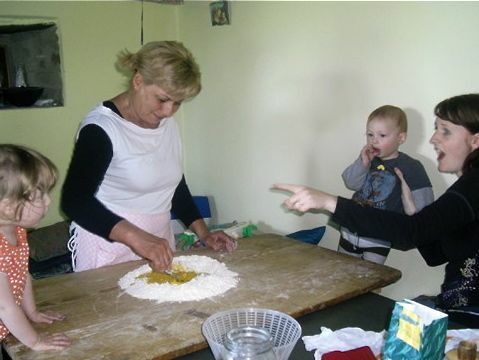 Skills such as learning to cook a delicious Tuscan meal and learning some Italian are a bonus. The local village is Caprese Michelangelo, birthplace of the famous artist. 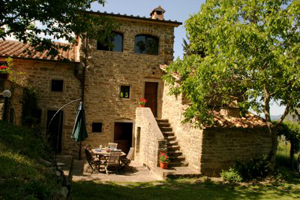 La Radicata is a short bus trip away from the medieval town of Anghiari. With its timeless vineyards, olive groves, cypress trees, and picturesque hamlets, the region of Leonardo and Dante is known throughout the world as “the Eternal”. Throughout the seasons, the magic of Tuscany captures the hearts of many with its sense of timelessness, authenticity and an inherent natural beauty. Falling in love with this captivating land means falling for a lifestyle defined by simplicity, togetherness, good food and fine wine a world apart from the hectic and stressful activities of modern life. All inclusive accommodation including 3 fresh home-cooked and mainly organic meals plus local wine (breakfast, healthy light lunch and dinner), fitness classes, marketing seminars, shopping trip to shoe outlet and excursion to medieval town of Anghiari, plus transfers to and from Perugia airport with recommended Ryanair flights. Flights are not included. A well rounded, nutritionally balanced diet with wholesome organic food is prepared by the Villa’s own chef and eaten outside under the pergola. Rita sources food locally (for example eggs from the neighbour’s chickens), not just because it is tasty but also because it lowers our carbon footprint. There are only 6 double rooms (4 with en-suite bathroom and 2 with shared bathroom). Sharing either with a friend or a partner is clearly more convenient. The more the merrier. 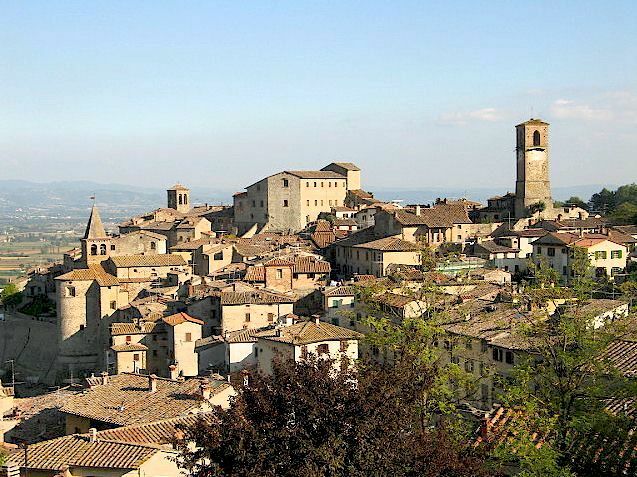 All trips include airport transfers from Perugia, all food and accommodation, all classes, workshops plus a visit to the local medieval town and market. There is an option to stay on longer to visit Florence or Assisi or the many shopping outlets in the area. and send us an email [email protected] to confirm your booking for this trip to Tuscany. This entry was posted on Tuesday, January 17th, 2017 at 1:49 pm and is filed under Travel with kids. You can follow any responses to this entry through the RSS 2.0 feed. Both comments and pings are currently closed.